What would happen if the collective body of Christ in your city engaged the needs of your city using shared, trusted research? It is this question that led our leadership in Charlotte to begin an 18-month research project, culminating in the Charlotte State of the City Report. After years of serving as a pastor and mission leader in Charlotte, I witnessed first hand the ridiculous amount of redundancy, inefficiencies, and structural misalignment in how the church in our city approached Christ’s mission. The body of Christ was operating in silos. This lack of unity grew a deepening burden in those of us who desired our city to be transformed, was one of the key reasons that led to the formation of the For Charlotte Mission Network. 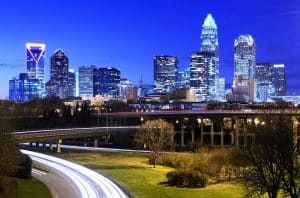 As the leader of For Charlotte, our mission is to connect and equip the church for mission in Charlotte. Although we had seen success in connecting churches, focusing their efforts in mission proved to be much harder. As the pastors in our geographic networks around the city would meet, the conversation would inevitably lead to where in the city their churches could serve collaboratively. Typically, pastors would just start bringing up issues that their church was engaging, and then try to convince other pastors to join “their” thing. Most of the time, their mission emphasis would be based on either personal or Biblical convictions. This of course is not a bad thing, but the problem is that this mentality when divorced from the needs of the city often leads to very well intentioned, yet bad mission in the city. This is why so many books like When Helping Hurts have been written over the past few years. What became abundantly evident over time is what I describe as a decision-making deficit in how churches approach mission decisions. Mission decisions are typically made based on conviction, which is good, but NOT based on trusted information, which is bad. This can lead to churches either moving the wrong needle or moving the right needle the wrong way. This tension between biblical conviction and trusted information is not an either/or proposition, but rather, the goal is to marry them in such a way to engage the church to meet the needs of the city. As city gospel movement (CGM) leaders, we have a wonderful opportunity to shape the conversation on how the broader church in our cities engages in Christ’s mission for the transformation of the city. Because churches are so often looking for “missional metrics” to gauge their effectiveness in ministry, we have an opportunity to show them that our city is our metric. 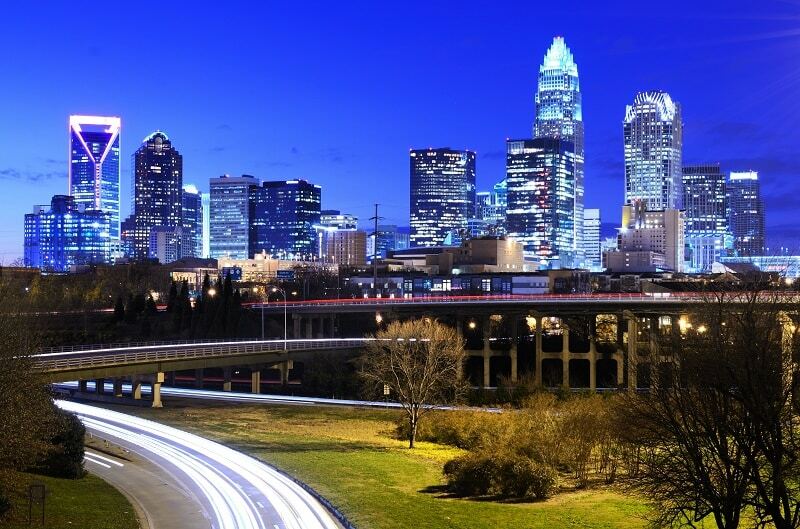 It is this belief that drove the creation of the Charlotte State of the City Report (SOTC). 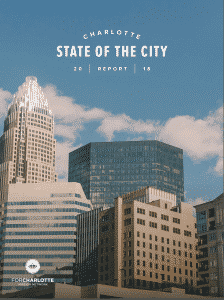 The SOTC Report brought together publicly available local research, on issues such as upward mobility and affordable housing, and combined it with commissioned research on topics such as church growth and the state of Bible engagement in Charlotte. We then brought together local pastors, ministry leaders, and marketplace leaders, to contribute ways the church can pray for and engage the many needs of our city. This report was our attempt at marrying our biblical convictions with the needs of the city, while creating a roadmap for the collective body of Christ to move forward on mission together. As a CGM leader reading this article wanting to take on a project like this in your city, below are few key lessons learned over these past two years. Posture Matters – As a CGM leader, you must keep a posture of learning your city. Just as you exegete the Scriptures to uncover the richness of its meaning, so too you must commit to exegete your city, seeking to understand the depth of need in it. Honesty Matters – As you uncover the deep needs within your city, you must be committed to informational integrity. Be honest about what you learn. Part of your responsibility in forming a healthy city gospel movement is ensuring the church in your city can trust you. So do everything you can to not let personal bias or preference skew how you communicate what you learn. Allow the research to speak for itself. Partnerships Matter – To do a project like this requires research partners. Unless your city gospel movement has a massive research department, your research will have to be done by others. Get to know the agencies in your city that are doing the research. As you meet with them, ask a lot of questions! There are also other great agencies such as Barna Research, American Bible Society, and the Center for Bible Engagement that are already doing great research in cities. Words Matter – Movements need focus, and reports like this help bring that focus. So make sure you spend time crafting clear language that effectively communicates the needs of your city, and that are easily reproducible for others to share. The gospel is always contextualized to whatever city or culture it goes into. Through projects like this you have the opportunity to “translate” the needs of your city and culture to the church so that they can most effectively contextualize the gospel in your city. In closing, I want you to ask yourself what would happen if a unified body of Christ in your city, worked together to engage the many needs of your city. What would your city look like in five, ten, or twenty years? We live at a pivotal point in history, and our cities need the Church to get in the game. It is our prayer that reports like this would help inform and inspire the Church to live out its Biblical call to seek the peace of our cities, together. Rob Kelly serves as the founding President & CEO of the For Charlotte Mission Network. In this role, Rob is the primary directional leader of Movement Day Charlotte, the lead author of the Charlotte State of the City Report and architect of the For Charlotte network platform. Prior to this, Rob served 13 years as a pastor, along with numerous other leadership positions, including co-founding CHARLOTTE/ONE and lecturing at Gordon-Conwell Seminary. Rob is a graduate of the University of Washington and Gordon-Conwell Theological Seminary-Charlotte. Rob is married to Ani, and they are the proud parents of Addison and RJ. She Wanted to Change Culture for the Better. Learn Why She Chose Politics. This Councillor believes people are her city’s greatest asset. Is Your Zip Code Equitable? This tool helps you understand the areas of greatest need in your community. Check out this article I found at City Gospel Movement's website https://citygospelmovements.org/resource/the-state-of-the-city/. What if the collective body of Christ in your city engaged the needs of your city using shared, trusted research?